Upgrade to Cook'n X3 Today! 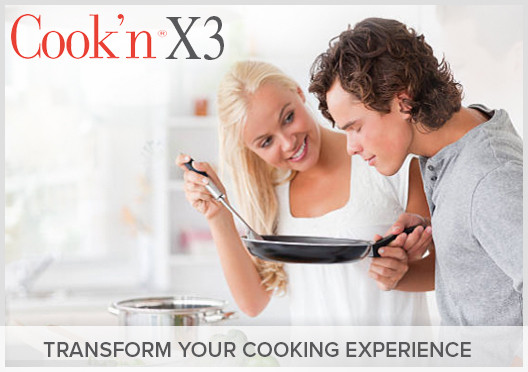 Transform your cooking experience with the new features in Cook'n X3! For years, Cook'n users have been clamoring for the ability to add multiple food photos to their recipes and the ability to print themed recipes. Cook'n X3 delivers! 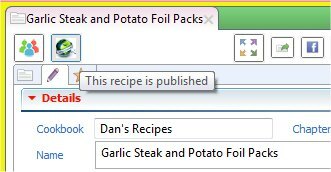 Cook'n X3 also makes it easier than ever to find recipes on the internet with Search Suggestions. 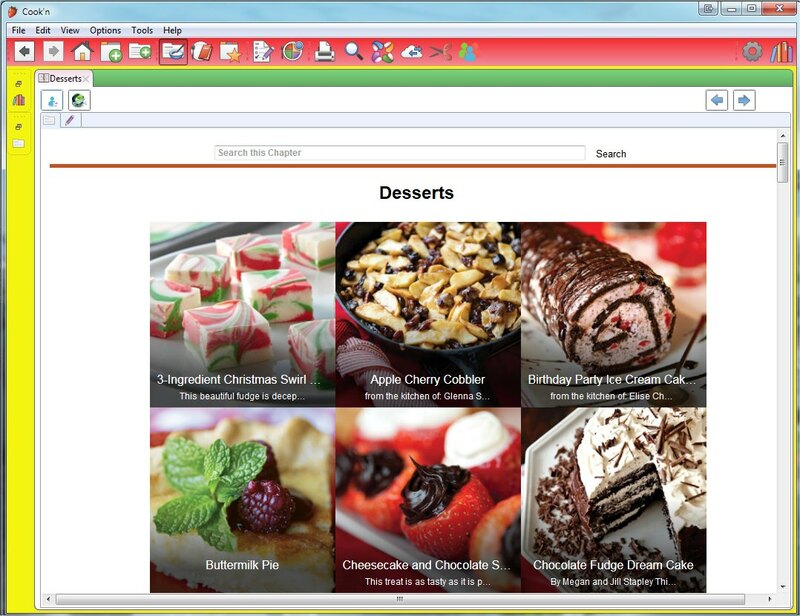 And, the new Capture Plugins for web browsers makes capturing internet recipes super simple! 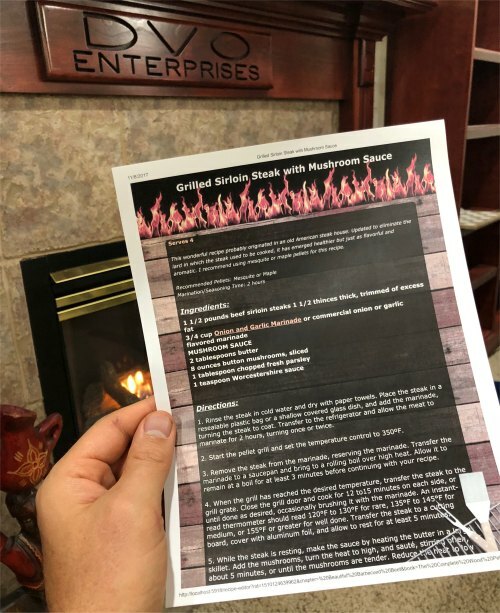 When you print recipes from Cook'n X3, you can choose to print them exactly as they appear in Cook'n. Recipe sharing just got taken to the next level of fun! Click here to see this feature in action. Now you can add multiple food photos to your recipes. 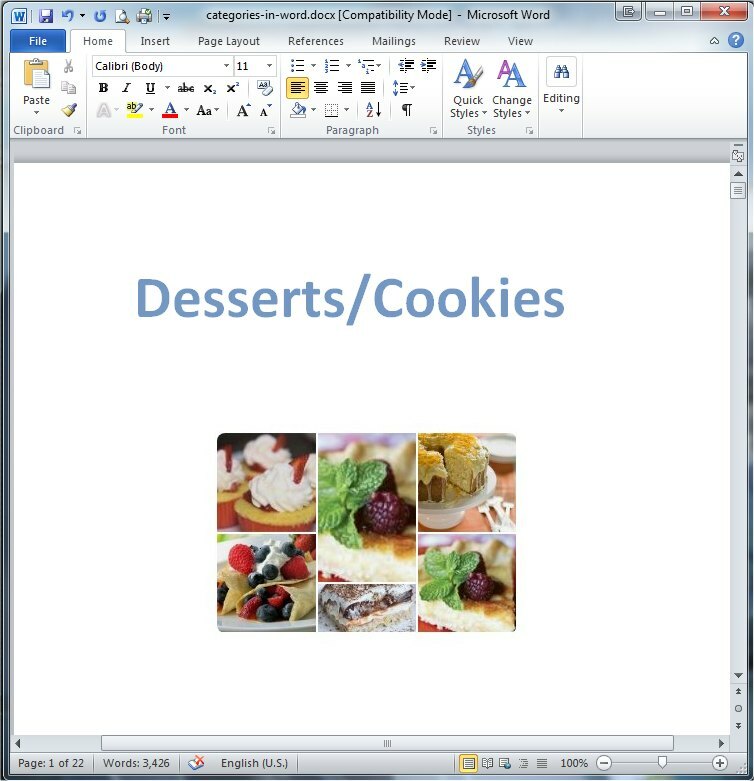 Easily display photos of each step of the recipe directions. Click here to see this feature in action. Finding great recipes just got a whole heck of a lot easier. As you begin typing your search term, Cook'n X3 will suggest several of the most common search phrases and automatically complete your search request for you to save you typing time and give you good ideas of things to search for. 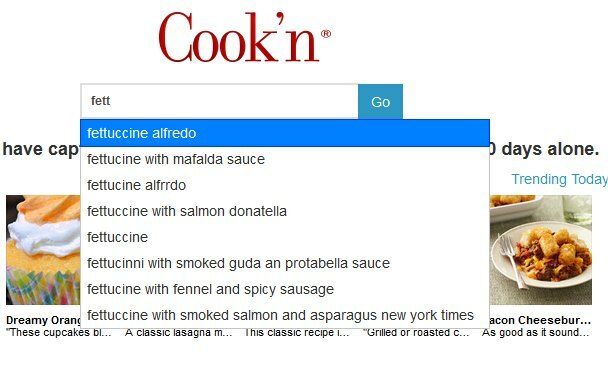 If you're like me and you can never remember exactly how to spell "fetta..fetta...whatsit alfredo" you're gonna love this new feature! Click here to see this feature in action. 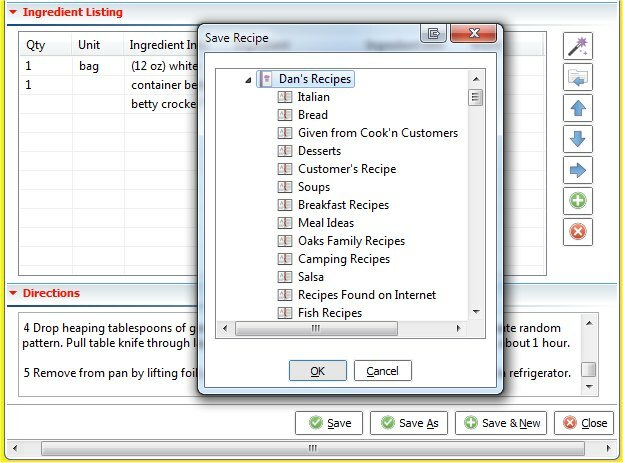 The new "Save As" button makes it easy for you to tweak your recipes without changing the original. Simply make your changes and then click "Save As!" Click here to see this feature in action. With Cook'n X3, it's easy to add the degree symbol � and other special characters like the � in saut� and the � in pi�a colada. Click here to see this feature in action. 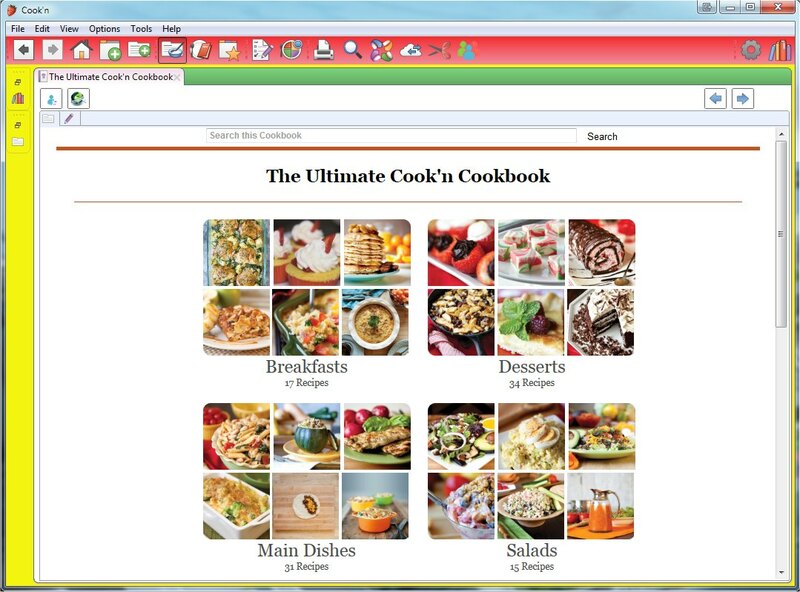 This feature allows you to publish your cookbooks on the internet for the world to see. 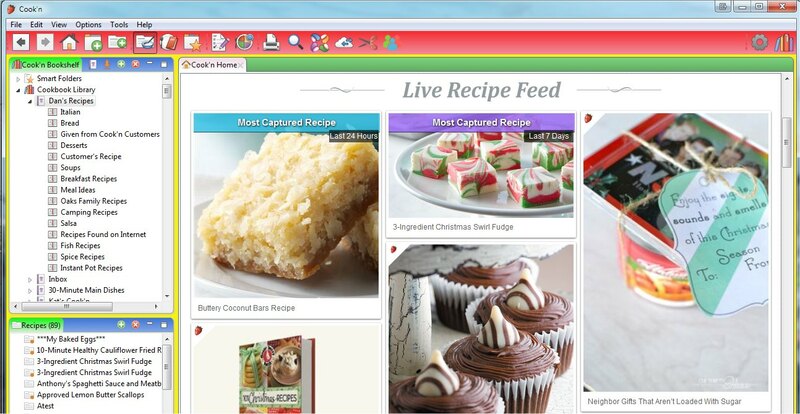 Now you can create a family cookbook that your family & friends can see! Demo video of this feature coming soon! 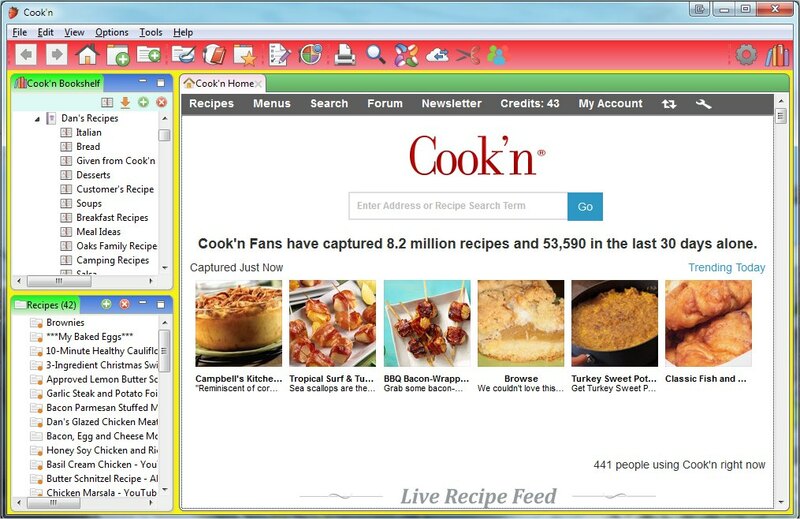 Using Cook'n was never so fun! The colorful interface will brighten your day. Click here to see this User Interface in action. 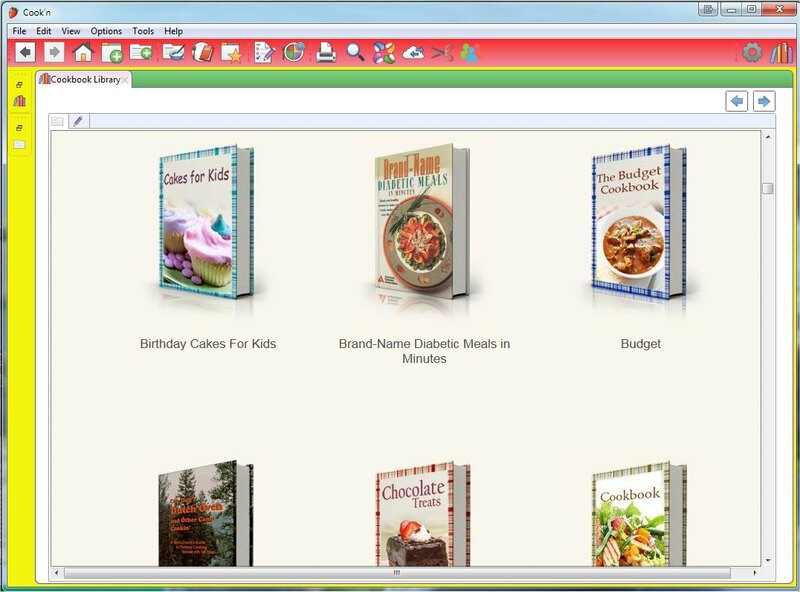 The new Cookbook Library view displays a picture of each of the cookbooks in your library making it easy to browse cookbooks and find just what you are looking for. 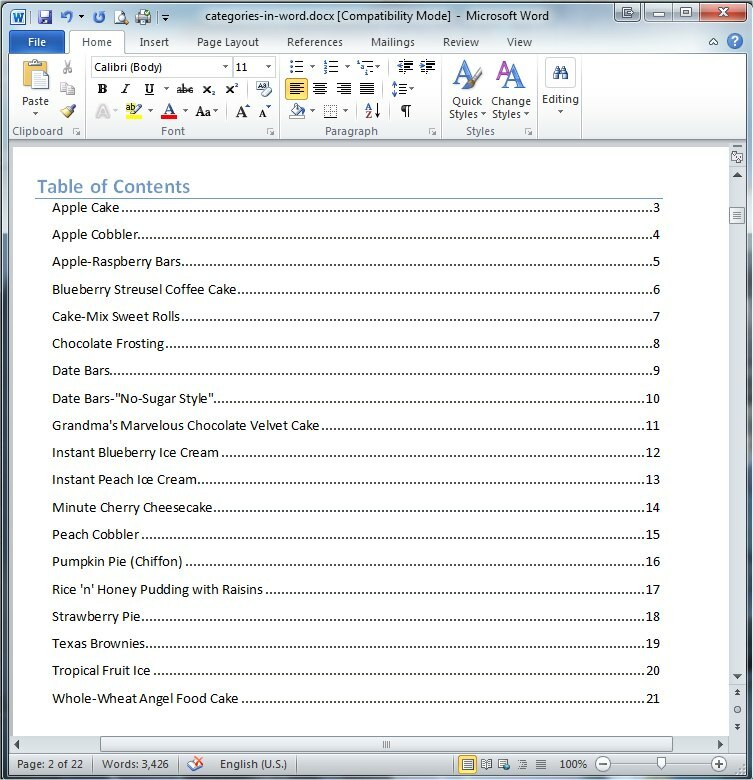 The new Cookbook View replaces a text list of chapter names with colorful pictures of each chapter. 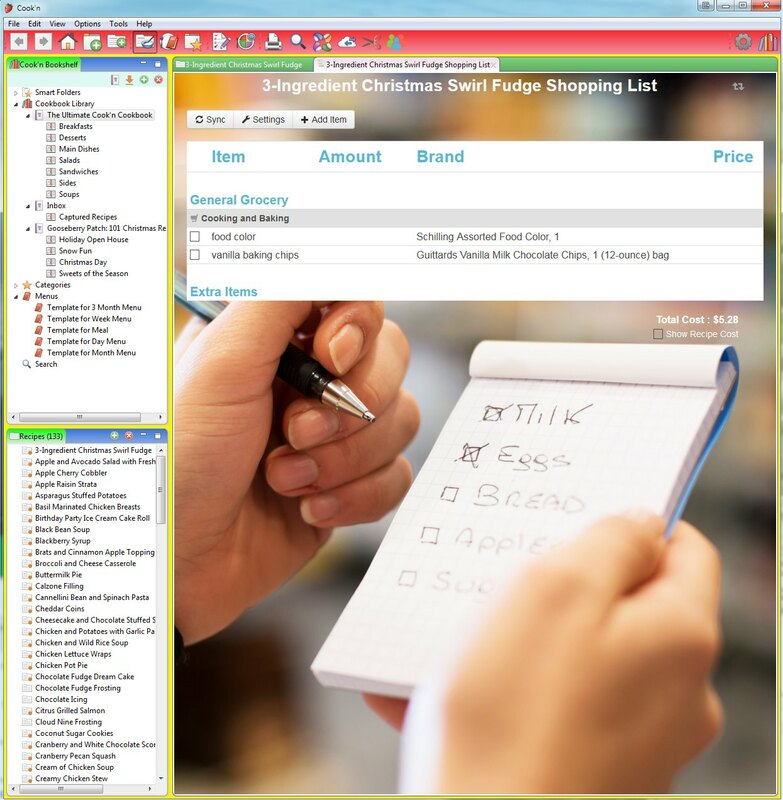 The new Chapter View displays your recipe list in a colorful and user-friendly way too. Finding the recipe you are looking for has never been so easy! The new Chapter View replaces a text list of recipe names with colorful pictures making it easier than ever to find the recipe you are looking for. 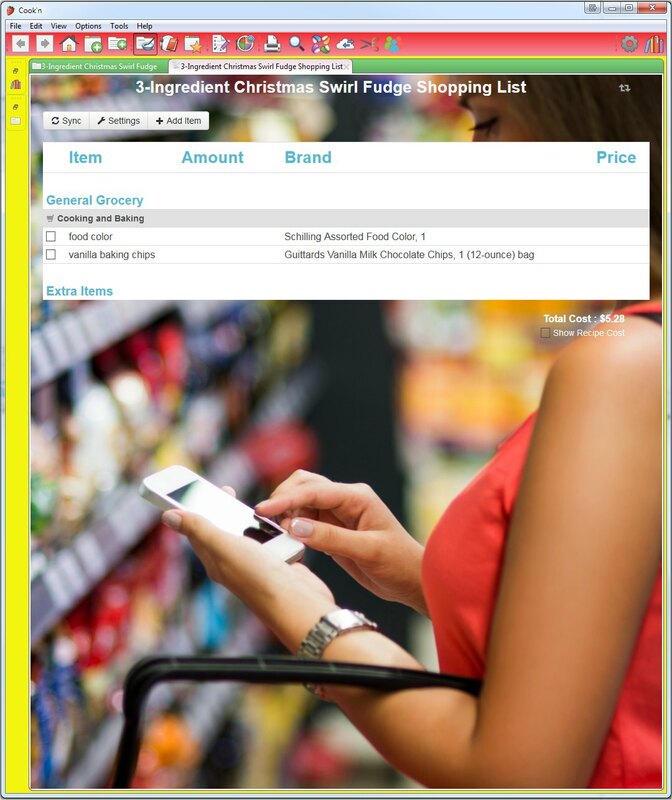 The new Shopping List screen replaces the cold computer feel with a warm human element. Making shopping lists and browsing the cookbooks, chapters, and recipes in your Cookbook Library just got about 10 times more fun with the new user interface in Cook'n X3! 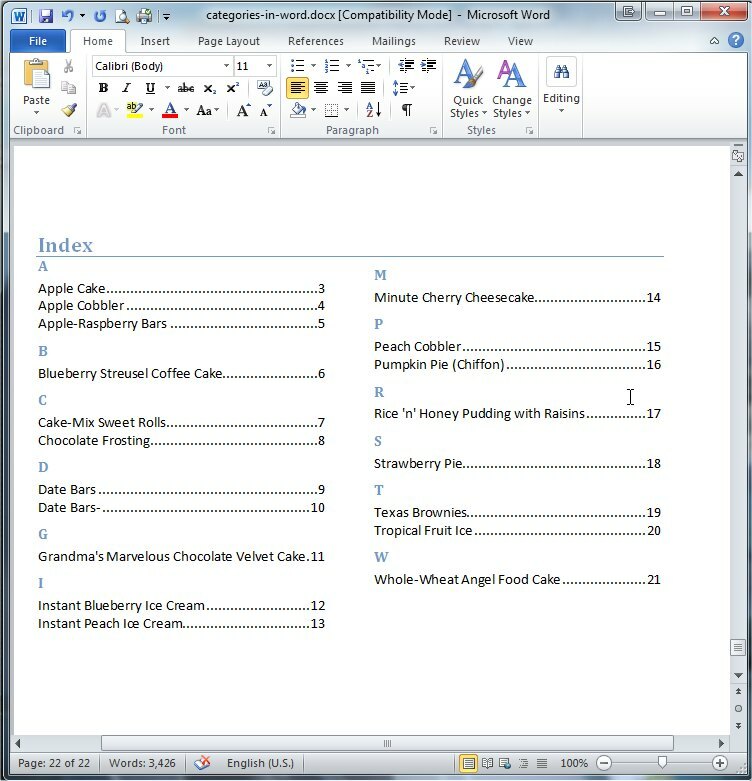 With Cook'n X3, you can categorize recipes from all different cookbooks and print those recipes in a cookbook format! Over the last 2 years, we posted updates to Cook'n Version 12 about every 3 weeks. When you upgrade to Cook'n X3, you will continue to receive updates on a regular basis with new features, performance optimizations, and bug fixes! We get feedback from our customers, make improvements, and post regular updates every couple weeks. Cook'n just keeps getting better and better! Upgrade today and get regular updates! In addition to these cool new features, owners of Cook'n X3 will continue to receive regular updates for free. We already have two cool new features to release next month!